If you'd like to watch this video☝🏾 in English language, then go here..
Directionless? Need more guidance regarding something in life? Feel creepy to decide something big on your own? Do some questions keep haunting your mind again and again? Tarot Readings can help you to get answers for difficult questions in life. Guide you to a better future. And design your life in a way that you feel you are safe and on a better way. Obviously there's no magic in Tarot, Magic lies within YOU. Tarot will help you to uncover that magic, so that you can use it for your best. Payumoney links will deduct amount shown in rupees, paypal will deduct amount shown in dollars. If you are from India use the Payumoney link to pay, as you'll be able to pay through netbanking. Else if you are non-Indian resident then use paypal. Both are safe for payment. Please read the Terms & Conditions, Accuracy policy, Refund policy and Guarantee before proceeding to buy. I want you to get 100% satisfaction from reading you get from me. And so you need to be clear about all this. As I want to give you my bestest services where you will be totally satisfied by the reading you'll get. I will keep all your info confidential. I cannot help you with diseases, black magic, or legal issues. Please don't discuss about it or mention it during our session. Payment is non-refundable. If you feel your reading wasn't accurate, then you would get a reading again on the same question for free. Whether you are eligible for this offer or not will be completely my decision. You will get reading after 48 hours after you placed the order for reading, and sent me your birth details & questions. You should be 18 years and above of age to get readings from me. If you purchase a reading and want to postpone your session then you can do it within 30 days of purchase. You need to use your full package in one session or mail. You cannot ask few questions and keep other few questions pending to ask in future. Readings can be accurate when you follow certain directions that are given. I guarantee 99% of accuracy. Rest in in your hands. Also accuracy will vary or lessen if the question is asked/ involves a third person who is not present at the reading. Or who isn't aware about the reading. If you fail to follow the directions, then the accuracy may vary. In which case I will not be able to give you a free reading in exchange of that. 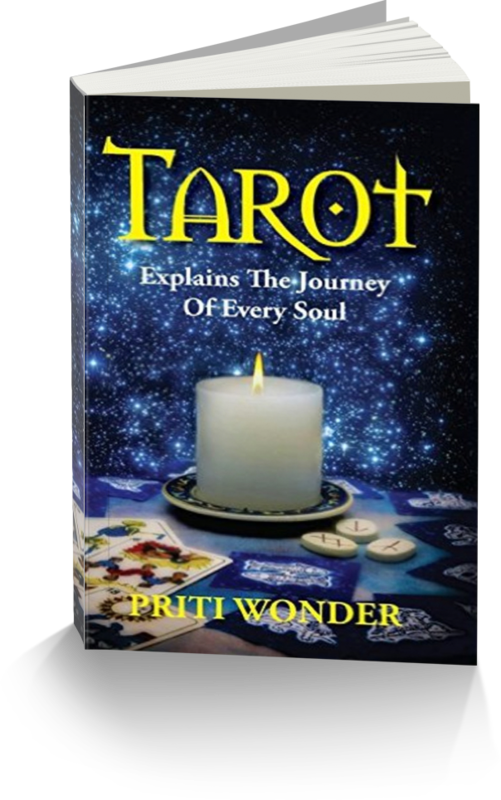 Tarot Readings work and can help you transform your life, its necessary that you follow the guidance with common sense. Asking the question repetedly will not change the outcome, I have to be honest with what the cards say. So please accept the answer Tarot is giving you. If you ask one question repetedly, chances are you will end up with the same answer in a twisted way. Tarot can help you give directions for your life, yet future is totally in your hands. You can always shape a better path if you are not happy with the directions tarot gives you. What Tarot says is not end of life. Its a tool to help you. So you can always ask more positive questions, inorder to get directions that will take you on a happier path. Life has its own ups and downs. And it won't stay in a same phase for long. Tarot can help you get better paths. Tarot cannot help you by magically bringing you out of trouble such that you won't have trouble for lifetime. Tarot is just a tool, whatever tarot has said you still have the freewill to follow or not to follow the directions that are given to you. Under moral conduct if some person falls below their standards then I have all the right to end their consultation either from the beginning or in-between. In such case there will be issued a refund after cutting 25% of the total amount paid if the appointment did not take place. Or if the appointment took place then 50% of money will be refunded. In future that person will not be given a reading, and any payment received from their end will be taken as a donation. I guarantee my reading about 95% rest lies in your hands. Also reading depends on how your mindset in at the time of reading. If you change the way you think you will attract different outcomes. Ofcourse reading is based on sub-conscious mind patterns. Which are almost deeply rooted inside your phyche, and can be moved with effort. I am no magician and expect you to take readings with common sense. I cannot help you to solve problems that are rooting from black magic. So if you know something like that was done on you, then please resolve it first.